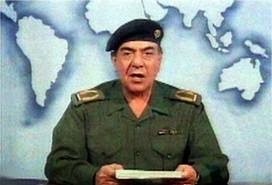 FBC Jax Watchdogs: "President Caner" Makes First "Cabinet Appointment": Peter Lumpkins, the New BP "Baghdad Bob"
In fairness, I work at a community college and we issues press releases for VPs hires. Also, we have a "cabinet" composed of directors and Vice Chancellors and the Chancellors. It may be Higher Ed general practice. However, it seems like there would be more qualified PR people to help with this. I don't know Mr. Lumpkins credentials but I would be hard-pressed to see him able to land a job like this else based upon that press release. Has he worked in Higher Ed? Totally different ballgame than the Church (at least it is in state college world). He ran a publishing company (Free Church Press?) but that isn't real time press relation. But since PR/Communications is basically a glorified Spin Doctor, maybe he is qualified since that is all he has done for the last four years for Caner. I just can't help but have my faith weakened by men like Caner and Lumpkins when schools like Brewton-Parker hire them. I know it shouldn't matter that hypocrites and con men and wolf in sheep clothings are out there, but I can't help but remember Johnny Cochran's point: "If you can't trust the messengers, how can you trust their message?" I don't trust them, and I am seriously doubting their message. I get that the "Traditionalists" are trying to stick it to the Calvinists in the SBC, and Lumpkins has a bone to pick with Al Mohler. What I don't get, if the "Traditionalist" position represents the majority theological position of the "16 million" member Southern Baptist Convention, are Caner and Lumpkins the best they can come up with to run a small, failing private Baptist college? Just last Sunday in his sermon at a church in Ohio Caner went on and on about how little he knows about running a college, mocking the accents of the trustees in the process! I would have recommended Danny Lovett. Lovett was Caner's predecessor at Liberty. He has experience in successfully running the embattled school Tennessee Temple University. He also resigned amid charges of plagiarism, so he's controversial. Which is the main thing Brewton Parker was apparently looking for. I just do not get it--a "Christian" college hiring a man with as much baggage as Caner. What is the deal? I have posted here as "John A" in the past but see another user with that name in these comments. I will glady go with JohnA2. I am not a frequent reader or poster these days so I apologize if have ever been confused with the other John A.
I think the Dawg knows who I am because he is a smart and experienced blogger guy. Anyway, I must say I laughed out loud at this post and just can't stop laughing. Caner and Lumpkins are just ridiculous. I feel sorry for any parents paying private college tuition to send their kid to this place. It is sad that these men can be so self deceived and believe they are the good guys. This cannot end well. Caner and his buddies are going to pick every last bit of meat they can from the dead, dry bones of that place like a pack of hungry vultures. I wonder how SACS COC will address the “Integrity Standard” with regard to Dr. Caner. Well, if Caner is already making fun of the Southern accents of the Board of Trustees, wait until he spends a few months down here. Of course, if he's actually down here and not doing speaking engagements. I won't forget one of his first comments on Twitter about his appointment at BPC, regarding the redesign of a more impressive seal - "What's the Latin word for gravy?" Unless Caner is worshipped in the same manner that most sheep worship the spiky-hair mega pastors, he may not have it as easy as he thought when it comes to raising money for the college. However, down here, ethics and business don't always go hand in hand. Money may mysteriously show up. "Alcohol Today: Abstinence in an Age of Indulgence"
Lumpkins may be in for a surprise when he arrives. This is the land of grandpa's moonshine. Now, moonshine has been replaced with meth labs and marijuana. I wonder if Caner and Lumpkins honestly know what they are walking into. Oh, I'm sure most folks will "put on" a nice show for the good Dr. Caner; however, will it be sincere offers of help or fawning over the new Baptist celebrity in town? 3. Mixing worldliness and traditional religion. It's not out of the ordinary to hear something like this in normal weekday conversation. Someone I know was in a honky tonk one night and overheard a group of "church folks" make this remark, "Well, it's about 11:00 p.m., I guess we need to go home so that we can be in Sunday School on time!" 4. Mixing hunting and traditional religion. I will never forget calling a certain pastor in the area who had a singing group that traveled around to local churches. I asked him if they would consider singing at one of our church functions. His reply, and I'm NOT kidding....."We're not singing right now 'cause it's hunting season!" Still searching for the Latin word for gravy. If you're not born and raised within a 50 mile radius of this area, you are truly considered from "out-of-town" (and they will tell you so). Many people down here suffer from ignorance. A few run daddy's business. Some leave to seek an education. Some leave for the bright city lights. A lot will stay near daddy's home place. Many have money, but believe they're poor as Job's turkey. Most are backwards and the others are stoned. They'll not know the Latin word for gravy. The rest are becoming very successful in their drug-trafficking business. Ergun Caner, Peter Lumpkins and South Georgia will be one interesting combination. Hope they enjoy the smell of fried catfish. Debbie: I have often wondered why the higher ups in the SBC have not taken a strong stand against Caner. I likewise have wondered why Peter Lumpkins and Tim Rogers, both SBC pastors have tried to rip to shreds anyone who would dare question Caner's story. I'll bet you dollars to donuts that the next "cabinet" hire to be announced will be Tim Rogers as Secretary of Defense. I know Peter Lumpkins, we were seminary classmates and not a more qualified individual exists for this particular work. Can't get enough traditionalists on Baptist campuses these days. Congratulations to both Peter and Ergun Caner for an excellent appointment. Re: "Caner also cited one of the qualifications of Lumpkins is his blog popularity"
I thought being a blogger meant you lived in the basement and ate Doritos. Peter Lumpkins and I were seminary classmates and friends. Not a more qualified candidate exists for this particular position. Can't get enough traditionalists in Baptist colleges anymore. May their tribe continue to increase. Congratulations both Peter and Ergun Caner. The #2 Ergun Caner appointment at BPC has been announced. Then, the next administration helped to get the college into an even bigger mess with their inability to address the debt and dormitory needs. Many people lost their jobs in this administration. And now, after all of this, they want someone to take the helm like Caner? And you are spot on in your view. I taught in a high school for 20+ years and was always thought as an "outsider." Never mind I lived in the community, and socialized with the locals. When I retired, we moved. Was have traditionalist got to do with this post? Another point. Ergun keeps referring to battle and soldiers. Warriors. Who are they planning on warring against? Is read afew paragraphs of. Lumpkins recently posted link on twitter. I couldn't bear to read it all because it is disgustingly boot licking and gratuitous. When the leaders are so blatantly setting different standards for themselves it is hard for me to understand anymore how we can get new believers to attend churches. Ronnie Floyd made a statement last night to the effect that y have to give up everything for Christ. Well unless it's your rich salary,, status, cars, etc. I know pastors say they would but I really don't know how that would fly. There would be some unhappy Mrs for sure. Many of the things that are going on remind me of the power struggle that went on a few hundred yrs ago when the Catholics were persecuting reformers. We are just more civil and don't send people into locked dungeons or torture them. Maybe modern day excommunication is their preferred punishment. It's so sad to see it. There is something that I honestly can't understand or even comprehend, at this point. I'm trying to literally wrap my mind around it. Caner, on video, stated that he was born in Istanbul, Turkey & then on another video, that he was born in Stockholm, Sweden. I saw both of these videos, as well as several others on You Tube. I have read the articles with the court documents, disputing some of Caner's claims. Again......I can't wrap my mind around the fact that Ergun Caner obviously lied in some of these videos.....and the Georgia Baptist Convention, Brewton-Parker College, 30 Trustees and many pastors are OKAY with this. The Conservative/Fundamentalist arm of the SBC wants to claim the inerrancy of the Bible. Yes, the Bible is inerrant. Therefore, if the Bible is inerrant, and the Bible says that lying is a sin, how in the world are they giving Caner a pass on his practice of lying? 1. Have Caner's supporters decided that the Bible is incorrect regarding the sin of lying? 4. If Caner's lies are given a pass, do these trustees realize that if someone on BPC staff steals or commits adultery and they are fired, that the staff member could possibly have a lawsuit against the school? .......Because........if you're going to accept a president who lies, you can't fire someone else for another sin......or can you? Maybe they will follow the pattern of Washington, D.C. - "Do as I say, not as I do." I don't think people have really thought about this thoroughly. The Board of Trustees and the Georgia Baptist Convention have really placed themselves in a very vulnerable position. These are supposed to be pastors and college-educated men, to include successful businessmen. They are making decisions that are completely destructive to Christian education. Lumpkins may or may not have a bone to pick with Mohler, but Mohler should probably be considered complicit in the Caner coverup. Caner spoke at SBTS over a decade ago, in the presence of Mohler and Russell Moore, and gave his "ex-terrorist" spiel. Mohler and Moore have never commented on the matter since. Neptune; some of us who have followed this have been troubled by many of these same issues for YEARS!! And there isn't any end in sight. So Caner lied. So what? Steve Gaines, Ed Young, Jr., Mack Daddy and all the others lie to us every week. Not about their personal history so much, but mostly about little things like having to give 10% of your income to them and their ministry or you are a thief, you are robbing God, you are under a curse, etc.. Caner can simply say "look, all of you guys lie every week, so why pick on me." And pray tell, who even cares? Anonymous: I do and thousands of other people care. Integrity is something I don't take lightly and the problem is you do, judging by your statement. Muslims are stereotyped and lied about. Black women are stereotyped and lied about, women are stereotyped and lied about. And people have been blindly following and eating it up as if it were the truth. The United States was fighting a war that required facts and yet our servicemen received lies and embarrassing jokes. Ergun's response is to sue those who bring out the truth of this. Pastors. There is also the issue of Ergun being a bully and a "warrior". Something we definitely do not need in the SBC. The tactics used are not ethical, but a ends justifies the means no matter how far or how low those means go. The SBC is not the "Fighting Fundamentalist" Network. It is a group of Christians who come together for the sake of spreading the Great Commission. We have people of all colors and nations not just white and we should behave as such. Ergun does not. He's a bigot. We have people from differing theologies who can all sign the BFM. That is not good enough for Ergun. All this definitely matters. For all his shortcomings, it was a blessing to hear Dr Vines preach. The scriptures don't need props. Perhaps the Lord may stir Brunsons heart to turn away from the temptation to use stories to add to Gods word. Preach the word and be constant in it. Thank you, thank you Debbie Kaufman for your insightful commentary. You are 100%.....absolutely correct. If only more Christians had your discernment and wisdom. People, and even most Christians, don't care about sin or integrity anymore. They don't care about lying, cheating, stealing, adultery, etc. ......that is......they don't care until they have been wronged......then, it's a different story. All "you know what" breaks loose. This is why our culture is dying a slow, painful death. No one cares until they have been wronged or lied to. No one cares until they have been laid off, cheated on, are sick, hungry, victimized or burglarized. Today's motto - Until it happens to me and my family, who cares? This selfish attitude has infected every denomination across this country. It's all about me. Today's peeps think that compassion is for the Jerry Lewis Telethon and the Children's Miracle Network. To most people, Jesus is just a good idea. The Bible is a nice, entertaining story. God is the great big Santa Claus in the sky. Just speak positive affirmations.......and like the good televangelists tell us, the Kingdom will come in. Don't worry about a little "thang" called lying......why, everyone does it. It was just a little embellishment to move the career along a little faster. Do you know why so many people DO NOT care about Caner's lying? Because they lie.....constantly. They embellish their resumes within an inch of proclaiming their ability to walk on water. They lie at work. They lie to their spouses. Then, they lie to God. And, as usual, they end up lying to themselves. No wonder they don't care about Caner's shenanigans. Politicians lie, Wall Street lies, the government lies, celebrities lie......it seems to be the sin of choice these days. Can't tell the truth today? .....well, brothers and sisters, just lie about it. After all you're not robbing a bank or committing one of those awful sexual sins. Bless his heart, Brother Caner just got carried away in his story. Bless his heart. He's got a heart for the young folks - he probably didn't mean no harm anyway. We just all need to LUV one another, hold hands, sing Kumbayah and throw a stick in the fire. Bless his heart. Let's not shoot our wounded on the battlefield. Let's LUV them and minister to them.......TO INCLUDE accepting their little embellishments. Like I said before, Caner is coming to the perfect location to get away with his shenanigans. I just hope....that if he gets really carried away, that he doesn't take down too many naive folks down the rabbit hole with him. What happened to Arlington Baptist College? Does Caner have a wife and school aged kids that he drags all over the country to a new post every time his true character is exposed? (Why there are any places left to go is mind boggling in itself.) If so, I'm so sad for them. ABC was nothing more than a rehab stop. Foolishly, the administration and board traded their reputations for a mess of pottage. They gambled that Caner would increase enrollment in exchange for a safe haven. He received a LARGE salary and so much freedom he was rarely on campus ... as the academic dean! Hiring Caner was such a big mistake the school may will never recover. "People, and even most Christians don't care about sin or integrity anymore." "Today's motto-until it happens to me and my family, who cares? This selfish attitude has infected every denomination across the country." I agree with everything you wrote on your post except for that those who claim to be Christian and behave this way. I don't think that they are Christian at all. They are people of the world that have filtered into the institutional "church." The catalyst for the sparring going on in the SBC is differing Doctrines. Being a first time visitor I can almost bet this blog has Calvinist leanings and knowing Lumpkins isn't a Calvinist and him defending Caner a non-Calvinist, Lumkins has to be wrong. The same goes with CB Scott. 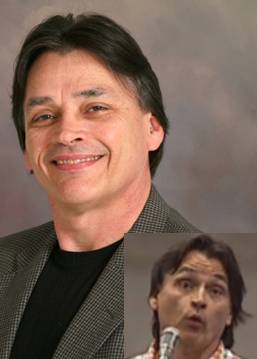 Watching Phelps and JD Hall openly gloating that Rev. Graham and Caner not having salvation acting unconcerned about their destiny and then you referring to Caner's "Cabinet" is degrading. If we don't start practing 1 Corinthians 13:13 we won't have to worry about James White, Joel Osteen, Mark Driscoll, JD Hall, Phelps, Lumpkins, Caner, Adrian Rodgers, Rev. Graham or Mohler's doctrines or their final destination we will have our own soul to worry about. Lumpkins is a nut. Even most Traditionalists disown him. Let him spin divisions in the corners of his own little warped world. He's still got synchophants like Shaver and Caner to cover for him.